Dance Legend Twila Tharp creates another Broadway dance musical in the tradition of her successful Movin’ Out (featuring songs by Billy Joel), turning this time to more than 25 tunes made famous by Frank Sinatra. 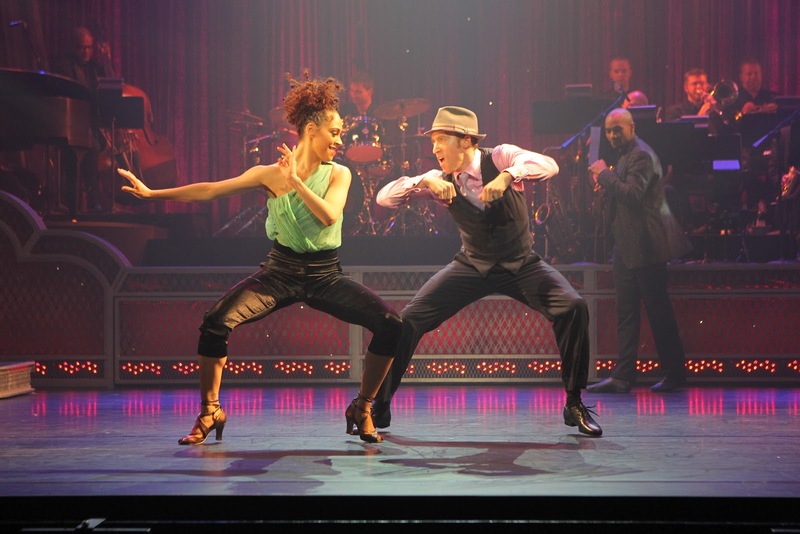 An ensemble of 14 dancers performs the choreography with a live band on stage, accompanied by the recorded vocals of Sinatra. There isn’t any dialogue and no plot to speak of. The lyrcis of the songs provide some guidance for the choreography, which loosely follows four couples falling in and out of love in a setting resembling a night club (James Youmains designs the set). Dancers Anthony Burrell and Ashley Blair Fitzgerald stand out from the fine ensemble with their excellent stage presence as they perform seemingly effortless turns, leaps and lifts. The 13-member band, conducted by Musical Director Rob Cookman, swings (especially those horns) in a brisk 75-minute performance. Well, there’s really no plot. The main dancers are listed by character names in the program, but seriously, we never know what their names are or what really is taking place. If you spend too much time trying to assign a story to what you are seeing, you’ll miss the best part – dance. Some of the choreography seems misogynistic – women being felt up, treated roughly, thrown over the shoulders of men vying for them, etc. A technical glitch delayed opening night on Tuesday by about 30 minutes (and a zipper glitch provided a moment of embarrassment for Burrell). 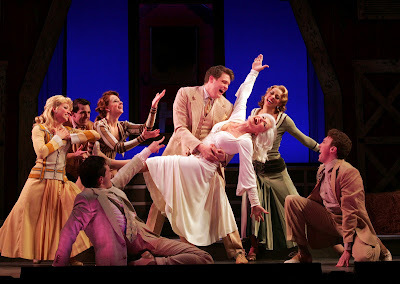 The show closes the 2011-2012 Broadway season at the Bushnell, 166 Capitol Ave., Hartford, and runs through June 3. Remaining performances are tonight at 7:30, Friday and Saturday at 8 pm, Saturday at 2 pm and Sunday at 1 and 6:30 pm. Tickets range from $17 to $72 and are available at 860-987-5900 or www.bushnell.org. Liberty, a new musical that tells the stirring and spectacular story of United States immigration through the eyes of a young European immigrant, will be presented in an exclusive, fully-staged professional production at the Warner Theatre in advance of its New York premiere. Performances begin June 30. Goldin (YANK! ; Pride and Prejudice). The announcement was made today by John Bonanni, Executive Director of the Warner Theatre. Liberty with book and lyrics by Dana Leslie Goldstein and music by Jon Goldstein, tells the story of a young immigrant who arrives from France in 1884 amid anti-immigrant fervor. With powerful political forces working against her, she is befriended by fellow immigrants from all corners of the world. Through assimilation, Liberty becomes the symbol of all immigrants, winning over the people of the United States and taking her rightful place in New York Harbor. The musical previously was presented as a developmental workshop as part of New York City Mayor Michael Bloomberg’s Immigrant Heritage Week and has been invited to perform at the grand re-opening of the crown of the Statue of Liberty and during the official celebration of the 125th anniversary of the Statue of Liberty. July 5 at 8 pm, Friday, July 6 at 8 pm, Saturday, July 7 at 2 pm, Thursday, July 12 at 8 pm, and Sunday, July 14 at 2 and 8 pm. The July 1 performance will feature an opening night red carpet prior to the performance. Launching in June, the program will feature a pre-show discussion with prominent authors followed by a performance of a Playhouse production. The themes of the literary salons and theatrical productions will complement each other. The inaugural salon and its parallel Playhouse production on Wednesday, June 13, will focus on memoir writing as a healing tool. Nina Sankovitch, author of “Tolstoy and the Purple Chair: A Year of Magical Reading,” a memoir in dealing with the death of her sister, will be interviewed from 6:30 to 7:30 p.m. in the Playhouse’s Sheffer studio by Tessa Smith McGovern, memoir collection editor, writing professor at Sarah Lawrence College and founder of eChook Digital Publishing. Following at 8 pm will be a performance of The Year of Magical Thinking, based on the National Book Award-winning memoir by Joan Didion. Featuring Maureen Anderman, the play is about hope and renewal following the author’s loss of her husband. The literary salon is open to anyone with a ticket for the Wednesday, June 13 performance. Subscribers to other performances may exchange their tickets into this evening if they wish by contacting the Playhouse box office at 203-227-4177. Upcoming literary salons will be on Wednesday, July 18, prior to a performance of Molière’s Tartuffe and Wednesday, August 29, before the world premiere of the comedy “Harbor,” by Tony Award-nominated playwright Chad Beguelin. For a season brochure, click here. For more information or tickets, call 203- 227-4177, toll-free1-888-927-7529, or visit Westport Country Playhouse, 25 Powers Court, off Route 1, Westport or www.westportplayhouse.org. Neil Simon's The Last of the Red Hot Lovers runs at Ivoryton Playhouse June 6-24. ﻿﻿﻿﻿Meet Barney Cashman, a 47-year-old restaurateur, who decides he needs to take a break from his 23-year-old marriage. On three different afternoons, he brings women to his mother’s apartment while she’s at the hospital volunteering. Behind plentiful laughs is a tender portrayal of a decent fellow who just can’t succeed in sinning. ﻿﻿R. Bruce Connelly returns to Ivoryton to play the hopelessly faithful Cashman. He iwll be joined by Playhouse veteran Beverley Taylor, Kate Hubbard and Bonnie Black. Longtime wives who attend TheLast of the Red Hot Lovers are urged to bring their longtimehusbands. Each guy may well see how smart he’s been to not humiliatehimself the way Barney does! Directed by Maggie McGlone Jennings, the set design is by Rachel Reynolds, lighting design by Marcus Abbott, and costumes by Lisa Marie Harry. Performance times are Wednesday and Sunday matinees at 2 pm. Evening performances are Wednesday and Thursday at 7:30 pm, Friday and Saturday at 8 pm. Tickets are $40 for adults, $35 for seniors, $20 for students and $15 for children and are available by calling the Playhousebox office at 860-767-7318 or by visiting our website at www.ivorytonplayhouse.org (Group rates are available by calling the box office for information.) The Playhouse is located at 103 Main Street in Ivoryton. The Stars of Broadway Concert and an additional performance of The Wizard of Oz performed by special needs youngsters mentored by professional actors. 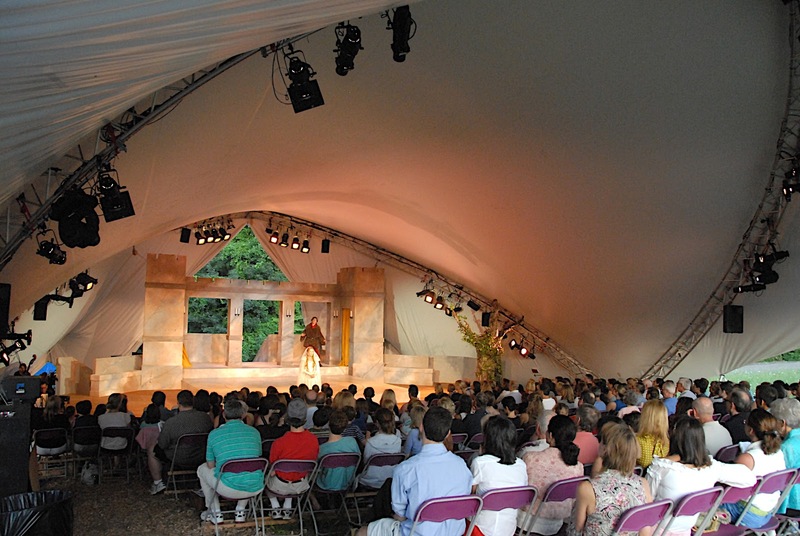 STONC musicals are presented in Waveny Park in a state-of-the-art open-air tent theatre with reserved seating plus stage-side and orchestra box dining as well as open field seating and picnicking. Performances take place rain or shine. Opening the 2012 season will be My Fair Lady Friday, June 15 through July 7. Sir Andrew Lloyd Webber and Sir Tim Rice’s Joseph and the Amazing Technicolor Dreamcoat featuring a professional company of actors and a 20-member choir of local children, runs Saturday, July 14 through Aug. 5. The festival also features a Theatre for a Young Audience series of shows: The Wizard of Oz (Sunday, June 17 through Saturday, Aug. 4); Pinkalicious, The Musical (special preview Wednesday on the 4th of July opens Saturday, July 7 thru Sunday, Aug. 5) is a charming smash hit based on the popular book by Elizabeth and Victoria Kann. Come dressed in Pink. In addition, STONC’s Junior Company will present Disney’s High School Musical 2 on Friday, July 27 at 4 pm. The Junior Company, created only for middle school-age children grades 5 thru 8, will work with the Summer Theatre professional actors, director, choreographer, designers and crew who will instruct, rehearse and assist the students in mounting the production. Tuition for this three week performance intensive program and production in the afternoons is $695. The festival will also include an additional performance of The Wizard of Oz performed by the Summer Theatre Drama Ramas company of special children with needs. Professional actors currently performing in the same festival show will have mentored and rehearsed with each special needs child to help them sing, dance and perform the roles in this very special performance. Tuition for this 3 week Drama Ramas program is $425 (some scholarships available) and their performance is on Thursday, June 28 at 4 pm. The tent theater opens one-hour prior to performance for picnics or dining at reserved tables and the house opens 30 minutes prior to performance for regular ticket holders. Reserved seating available online or can be purchased one hour prior to performances on site. Theatre entrance and free parking is located at 11 Farm Road, Canaan. Take the New Canaan High School Entrance, follow road to end at Dunning Field Parking lots. The Outdoor Tent Theatre and picnic areas are adjacent to Parking area. For directions via auto and train go to stonc.org and click on directions or set GPS units for Summer Theatre of New Canaan located at 11 Farm Road Canaan CT. Take the New Canaan High School Entrance and follow road to Dunning Field and Waveny Park. The possibility of a third-party candidate amidst disagreement within the Republican Party; questions about corporate donations to campaigns; charges of socialism and a president who golfs too much. Sound like topics from today's news? Think again. The subjects are part of the 1987 musical Teddy & Alice about the early 20th-century presidency of Teddy Roosevelt (a bully John T Lynes). It features tunes by John Philip Sousa (Richard Kapp provides adaptations and original music), a book by Jerome Alden, lyrics by Hal Hackaday and even artistic consultation by Alan Jay Lerner. The timely references prove, as Director Semina De Laurentis promised in a pre-curtain welcome, that even though the musical depicts events from more than 100 years ago, "not much has changed." The Alice in the title, is Roosevelt's daring, unconventional daughter (played by Sydney Turner) who smokes in public, doesn't blush at showing a little ankle and speaks her mind. Her opinions clearly interfere with those who want the president's ear for themselves like financier J.P. Morgan (Tim Cleary), William Howard Taft (Charles Stoop), Sen. Henry Cabot Lodge (Jonathan Ross) and Secretary of War Elihu Root (John Swanson), so they conspire to marry "Alice Interuptus" off. Charles DellaRocco, Jimmy Donohue, Michelle Gotay, Diane Magas, Deb O'Connell Mandy Thompson and Cassie Taylor round out the ensemble. Alice is really just a chip off the old block, they discover, however, as her father bucks the norm himself, even doing the unthinkable -- at least in 1901 Washington -- by inviting black Booker T. Washington (Jerrial Young) to dine at the White House. The president also manipulates politics in Panama, where he wants to build a canal. "Shouldn't you consult with Congress?" one of his advisers asks. "No, I want to get things done," he barks. That exchange got a lusty guffaw from the audience who didn't miss the modern-day relevence. Alice eventually does fall in love with Sen. Nick Longworth (Matt Martin, who has a lovely tenor), many years her senior, but at first Roosevelt refuses to give his blessing and sends Alice off on a four-month good will tour of the Far East. The trouble, it seems, is that Roosevelt just can't let go of Alice. She reminds him too much of her late mother, Alice Lee. That reluctance doesn't go unnoticed by second wife, Edith (Krista Adams Santilli), who feels she can't compete with the memory of Roosevelt's beloved first wife, even though she has given him five more children (played here by Connor Barth, a 6th grader at WAMS, Carey Cannata, a rising freshman at the Taft School, Brandon Szep, Christina Vlamis and Philip Coffey). There are some unfortunate glitches that mar the production: sound levels and mixes need adjustment (Martin also designs the sound); conversations by the four musicians housed off stage left can be heard during dialogue; light cues can be slow (Matt Guminski, design) and the ensemble and musicians aren't together in some of the larger productions numbers (Richard DeRosa, music direction). Alden's book is a bit cheesy and long at more than two and half hours, but it's wholesome fun and awfully contemporary. 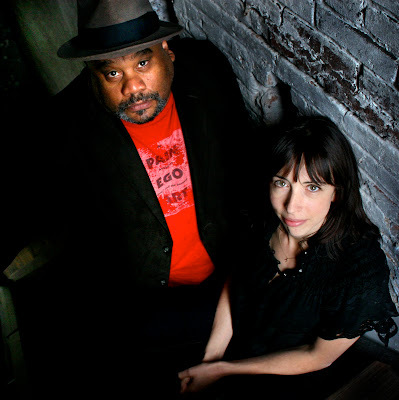 Teddy & Alice wraps up the season at Seven Angels with an extension of dates: Friday, June 15 at 8 pm, Saturday, June 16 at 8 pm and Sunday June 17 at 2 pm. For information or to purchase tickets, call 203-757-4676 or visit http://sevenangelstheatre.org/. Seven Angels is located at 1 Plank Road, Waterbury. Stimulating visuals which incorporate movement that is part ballet and part Cirque du Soleil set the stage for Darko Trasnjak's vision for Shakepeare's The Tempest at Hartford Stage. Daniel Davis (you probably best know him as Niles the butler on TV's "The Nanny") heads a fine cast in the tale of betrayal, forgiveness and redemption, but those themes, along with the storyline, at times seems to drown in the sea of colorful images. The vision is set in the first scene, a clever and breathtaking depiction of the tempest and the shipwreck which brings a host of characters to a remote island previously inhabited only by Prospero (Davis), his daughter, Miranda (Sara Topham), Caliban (Ben Cole), a spirit named Ariel (Shirine Babb) and various other spirits, gods and goddesses (Jane Cracovaner, Joshua Dean, Annastasia Duffany and Jillian Greenberg). When Miranda lays eyes on the first man she's ever seen besides her father and his grotesque slave, Caliban, it's love at first sight. Thankfully Ferdinand returns the affection, but Prospero refuses to give his approval to the match. There are plots against Prospero's life, some drunken sport (the mocking of Caliban seems particularly cruel-edged in this version) and some Shakespeare-style humor enhanced by Tresnjak's interpretation. Shirine Babb and Daniel Davis. Davis is compelling as the wronged man who treads water until he finds a way to ride a wave of forgiveness. Turning in some noteworthy performances are Cole as the tormented. mistreated slave, Babb as the mischievous spirit longing for freedom and Barlow, who gives one of the most engaging performances in a smaller role. 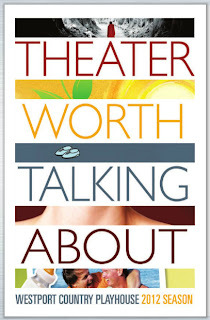 The story lack cohesion and the actors don't come together or bounce off of each other, however, because attention is mostly on the the spectacle of the play, rather than on its substance. And it is beautiful to behold. Alexander Dodge's set is splashed with dialogue from the play in the Bard's handwriting on a blue background. It is at once an ocean tossing a helpless ship and the sands of the beach on which it runs aground (with the help of excellent lighting designed by Michael Chybowski). A circular map of the world on the backdrop of the set is removed to reveal a staging area for the staging of portraits. Fabio Toblini's costume design borrows the handwriting theme which allows characters to blend into the scene. Spirits attach themselves to areas around the circle or up on the massive bookcases framing the set (Shakespearian students will know that when Prospero was deposed and set adrift with 3-year-old Miranda, he took his books with him), part of the scene, but not, to create some wonderful tableaux. The highlight of the beautiful staging is an aerial/ ballet number by the spirits with original music (and sound design) by David Budries and Nathan a. Roberts (Babb lends a beautiful singing voice to the production). Dean, who serves as aerial consultant, performs above the stage flying on strips of fabric, à la Cirque du Soleil. The Tempest is the first production selected by Tresnjak who began as the theater's new artistic director this year. It runs through June 10 at Hartford stage, 50 Church st., Hartford. 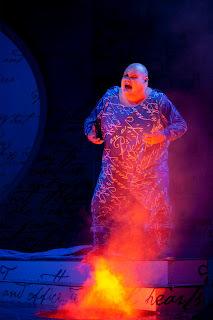 Tickets and info: http://www.hartfordstage.org/show/tempest; 860-527-5151. Hartford Stage Young Company, in conjunction with the Greater Hartford Arts Council’s Neighborhood Studios, will hold general auditions for Breakdancing Shakespeare: Much Ado About Nothing on Wednesday, May 23. Breakdancing Shakespeare: Much Ado About Nothing is a modern take on Shakespeare’sclassic comedy exploring life’s deceptions, both large and small. In this reimagined version of the play,students use breakdancing and hip hop to help make Shakespeare’s language accessible to audiences of all ages. This is a paid,six-week rehearsal process involving 16 Greater Hartford area students. Over the course of the summer, students will learn techniques of breakdancing, physical and vocal characterization,movement, and interpretation of classical text, culminating in two final performances on Monday, Aug. 6. Visit the Greater Hartford Arts Council website to download more information and an application. Go to www.letsgoarts.org, clickon Arts in Education, then select Neighborhood Studios. 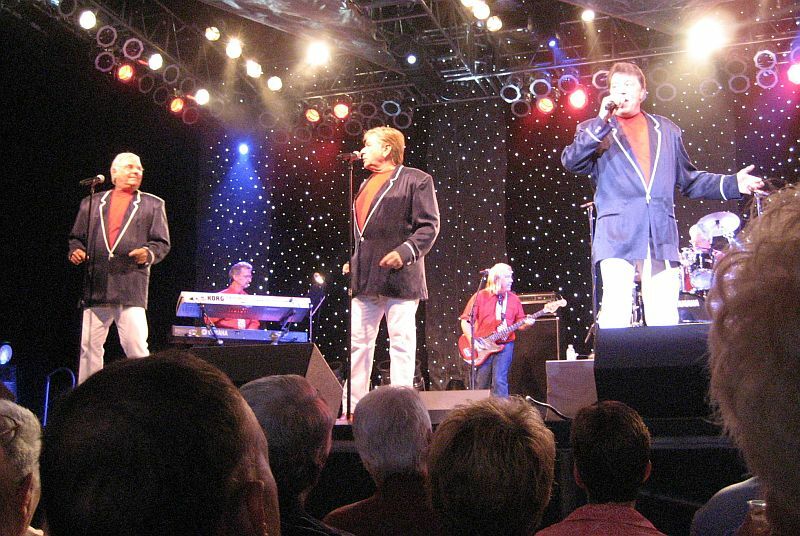 Jay and The Americans will perform two concerts Saturday, June 2 at 5 and 8 pm at Bridgeport’s Downtown Cabaret Theatre. The theatre is located at 263 Golden Hill Street in downtown Bridgeport. Reserved tickets are $39 and $59. For information: 203-576-1636 or downtowncabaret.org. Up next: Crystal Gayle - Jun 23. Saturday, May 19, 2012 │ 8:00 p.m. Ticket Information: Single tickets to this performance are $20 for orchestra seating, $40 for center orchestra seating. Student tickets are $10. To purchase tickets or for more information, please contact HSO ticket services at (860) 244-2999 or visit www.hartfordsymphony.org. Forever Together by Vinita Manjunath. The significant role women have played over time is explored in the new exhibition The History of Woman, on view from May 30, 2012, through June 23, 2012, at Fairfield University’s Thomas J. Walsh Art Gallery, located in the Quick Center for the Arts. The exhibition is presented by Montage Initiative, a 501(c)3 non-profit organization headquartered in Bridgeport, CT, and London, England, and its Traveling Art Gallery (TAG) program. Montage Initiative is dedicated to providing impoverished and disadvantaged women and families around the globe with expanded opportunities to earn a sustainable living. TAG is one of the organization’s unique programs, offering space and materials for artists to create and exhibit their art. The History of Woman features works by local artists, students, and faculty in celebration of cultural acceptance and individual expression. The Quick Center’s stewardship of this project and its relationship with Montage Initiative is an important, multi-faceted collaboration that aims for prompt discussion on globalization and increased awareness about extreme poverty and sustainable development. The History of Woman is the capstone event of the Quick Center’s involvement in Fairfield University’s Global Citizenship initiative. During this period, from June 11-15, 2012, Fairfield University is hosting the 3rd Biennial JUHAN (Jesuit Universities Humanitarian Action Network) Student Leadership Conference: Global Perspectives on Humanitarian Action. An estimated 200 students, faculty and staff will be attending the conference from Jesuit Universities globally and nationally to visit the exhibition. Montage Initiative’s attention is currently focused on the plight of the widows in the Indian providence of Vrindavan, although it endeavors to alleviate the reality of extreme poverty worldwide by rallying support and awareness and promoting peace building. The Thomas J. Walsh Art Gallery is free and open to the public. Hours: Tuesday through Saturday, 11 a.m. to 5 p.m., Sundays from noon to 4 p.m., and approximately one hour prior to curtain and during intermission at all Quick Center events. The Regina A. 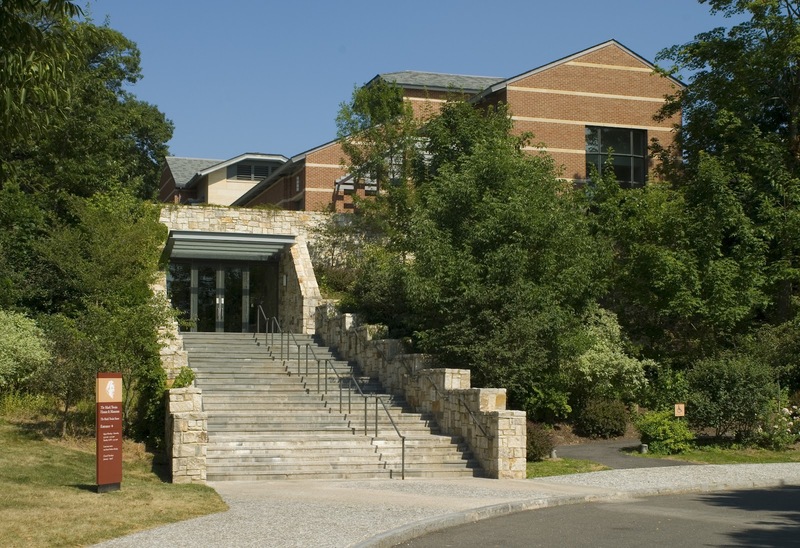 Quick Center for the Arts is located on the campus of Fairfield University at 1073 North Benson Road in Fairfield, Connecticut. Entrance to the Quick Center is through the Barlow Road gate at 200 Barlow Road. Free, secure parking is available. Access for people with disabilities is available throughout the Quick Center. Fairfield University is located off exit 22 of Interstate-95. For further information and directions, call (203) 254-4010 or 1-877-278-7396, or visit www.fairfield.edu/quick. In conjunction with the The History of Woman exhibition, there will be a reading at 7 p.m., Thursday, May 31, 2012, at the Fairfield University Bookstore, by author Julie Barbero Mughal, Assistant Director for the Center for Faith & Public Life at Fairfield University, from her book “Land Without Hats,” a collection of oral histories from women around the world, exploring what it means to be a widow in different cultures. Accompanying the reading will be demonstrations by The History of Woman exhibiting artists Anna Linley, Reiki Master, and Diane Platt, sculptor. Free admission. The Fairfield University Bookstore is located at 1499 Post Rd. in Fairfield, CT. All sales of “Land Without Hats” at this event will benefit the Montage Initiative and its programs. Sponsored by The Montage Initiative and Fairfield University’s Center for Faith and Public Life. The Emancipation Narratives of pre-Civil War America -- first-hand accounts of slaves who broke their bonds and escaped northward -- thrilled American readers and brought home the horrors of slavery in a vivid way. At the Thursday, June 14, meeting of the Nook Farm Book Talks, to be held at The Harriet Beecher Stowe Center, participants will read selections from three of the more popular narratives written during Stowe's and Mark Twain's lifetime. 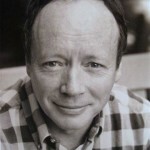 The Stowe Center has made the narratives available online at http://bit.ly/LZE02M. The Emancipation Narratives discussion will be facilitated by Lois Brown, Elizabeth Small Professor of English at Mount Holyoke College. The discussion will be held at the Harriet Beecher Stowe Center, 77 Forest Street, Hartford, Conn., on Thursday, June 7. A 5:00 p.m. reception will be followed by the 5:30 p.m. discussion. The event is free, but registration is encouraged at 860-522-9258, Ext. 317. Also, this Sunday, at 1pm the museum will announce the student winners of awards for their own artistic and literary reactions to the exhibit "Hateful Things," which provokes discussion of issues of race in America. The event is free. Meanwhile, CitySingers of Hartford will perform "Songs of Spring and Such: Travels with Twain" at the museum on Saturday, June 2, at 3 pm. Admission to the concert is by voluntary offering. Hartford Stage's Young Company, in conjunction with the Greater Hartford Arts Council's Neighborhood Studios, is looking for teen actors, dancers, rappers, and singers (students 14-16) for this summer's production of Breakdancing Shakespeare: Much Ado About Nothing. Selected students will participate in a rigorous six-week rehearsal period that includes acting classes, breakdancing training, and career skills workshops. Performers cast in the production receive a weekly stipend and will perform at Hartford Stage on Monday, Aug. 6. Auditions will be held on Wednesday, May 23. Applications are now available on the Greater Hartford Arts Council's website and must be submitted by Friday, May 11, 2012. 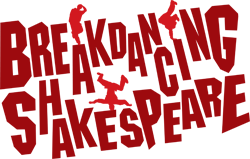 For more information about Breakdancing Shakespeare, visit Hartford Stage. Do you know a child or teen with a knack for the dramatic? 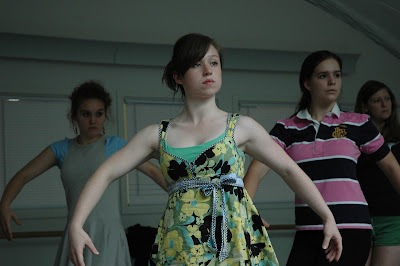 Our Summer Studio classes for ages 7-18 are enrolling now! To register, visit our website or call the Box Office at (860) 527-5151. Students will spend the week learning techniques in acting, singing, and dancing, and working towards a final musical revue performance. From auditions to rehearsal to performance, this class will guide students through the steps to becoming a triple threat. The week will conclude with a final, small scale production open to the public. Spend a week with us singing, acting and dancing as we work together to stage a final performance for friends and family. Morning sessions will focus on teaching students the essential skills of Musical Theatre performance. During afternoon sessions, students will put those skills to work as they rehearse for their final show. Designed for aspiring filmmakers, this two-week course in basic filmmaking teaches students to create their own short, narrative film. Topics covered will include film analysis, scriptwriting, shooting basics, and editing. Some degree of familiarity with digital editing tools such as iMovie or Final Cut is helpful, but not necessary. Students will walk away with a copy of their own short film, along with a clearer understanding of pre-production, production, and post-production elements. Each of the individual programs allows participants to work directly with the theater company’s professional staff members in preparation for additional bonus performances scheduled to take place at the Festival tent venue at Waveny Park in New Canaan, Connecticut. The Junior Company, for students 5th-8th grades, will rehearse Disney’s High School Musical 2 for three weeks (July 9 thru 27) at the Performing Arts Conservatory of New Canaan and then perform it (admission free) for the public on Friday, July 27 at 3:30. The story of High School Musical 2 takes place as school ends and everyone is on summer vacation. All of the characters from the movie of the same name will make the summer scene in this fun-filled musical. To schedule an audition for the Junior Company call the office at 203.966.4634. Participation in the Pre-College High School Apprentice Theater Intensive Program allows area high school students to develop a more insightful understanding of building an ensemble of performers and personal inner discovery, as well as enhancing the tools necessary to be strong actors and informed theatre artists. Beginning Monday, June 25 and continuing thru Friday, July 20, the program is scheduled Mondays through Fridays from 10am to 4:30pm. Working with successful professionals in theatre, the students will take classes and workshops in audition prep, voice & speech, acting, Shakespeare, musical theatre, dance styles, set/costume design, play/screen writing, devising theater and more during the day as well as create a staff-guided apprenticeship according to their theater interests. As a final project, the Pre-College High School Apprentice Theater Intensive Program students will highlight the skills they have learned during a performance on Friday, July 20 at 4pm, free to the community. This is a tuition based program and those interested in participating should contact the Summer Theatre office at 203.966.4634. STONC’s College Internship Program is a professional internship for a select number of college students pursuing a career in theater arts. Recent college graduates are also eligible. Paid positions include assisting directors, company management, marketing, stage managers, choreographers, costumers, actors, the musical director and the artistic director. This program will include 14 students working alongside the STONC professional designers and staff throughout the summer season. The DramaRamas Special Needs program is a unique in that it offers students ages 8-17 an opportunity to play roles in a theatrical production while being personally mentored by professional actors and staff as well as college interns. This season the DramaRamas and their professional acting mentors will appear in one performance only of Wizard of Oz (featuring the script from the Theatre for a Young Audience) on Thursday, June 28 at 4pm. The students and their mentors will rehearse for ten one-hour sessions in June to learn the script, music and movements and then perform the musical on stage of the Festival tent theatre in Waveny Park New Canaan for friends, family and those supporting the program. The performance is free and open to the community. In addition, the “Rubber Band” from STAR will also be performing before the performance. To be part of The DramaRamas Special Needs program, contact the Summer Theatre office at 203.966.4634. In addition to these Education Programs, the Summer Theatre of New Canaan 2012 Theatre Festival includes the Broadway classics My Fair Lady (June 15 - July 7) and Joseph and the Amazing Technicolor Dreamcoat (July 14 - August 5), plus The Wizard of Oz (June 17 - August 4) and Pinkalicious (July 4 - August 5). For information about auditions plus performance information and to purchase tickets contact the Summer Theatre of New Canaan call 203.966.4634 or visit the theatre website at info@stonc.org. Wagner’s “Ring” Cycle returns to Fairfield University’s Regina A. Quick Center for the Arts. All four of The Met: Live in HD transmissions from the recent Metropolitan Opera House productions by visionary director Robert Lepage receive consecutive encore broadcasts this month, beginning with a screening of Wagner’s Dream, a documentary film based on the ‘making-of’ this new cycle. 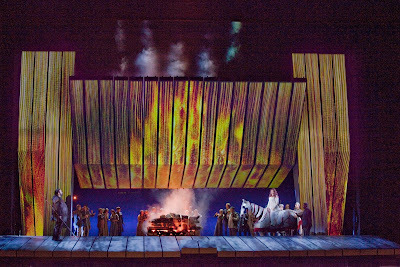 The Metropolitan Opera’s new production of Wagner’s Der Ring des Nibelungen features a cast of today’s greatest Wagnerian singers, led by Bryn Terfel (Wotan), Deborah Voigt (Brünnhilde), Jay Hunter Morris (Siegfried), and Jonas Kaufmann (Siegmund). The four-opera epic is directed by Robert Lepage and conducted by Met Music Director James Levine and the company’s Principal Conductor Fabio Luisi. The production premiered at the Met over the course of the 2010–11 and 2011–12 seasons. German composer Richard Wagner (1813–1883) was one of the most influential figures of 19th-century music. His idea of the Gesamtkunstwerk, or “total work of art,” combining music, theater, literature, architecture, and other disciplines, has had an impact far beyond the world of opera. The Ring cycle is his masterpiece and took an astounding 26 years to complete. Its story is loosely based on the medieval Icelandic Edda epics and the German Nibelungenlied. The protagonists—Wotan, the king of the gods, his warrior daughter Brünnhilde, and the hero Siegfried—are caught up in the struggle over a magical ring that gives unlimited power. A backstage look at the enormous theatrical and musical challenges of staging opera’s most monumental work, the film chronicles the five-year journey to create the most ambitious staging in Met history, featuring a 90,000-pound set nicknamed "The Machine.” Soprano Deborah Voigt is torn between excitement and fear as she prepares to take on the role of Brünnhilde for the first time, while unexpected drama arises as a new tenor, Jay Hunter Morris, steps in as the Ring’s hero, Siegfried – days before the production's world premiere. Conceived by Wagner as a prologue to the Ring cycle, Das Rheingold sets forth the dramatic issues that play out in the three subsequent operas. Gold from the depths of the Rhine River is stolen by the dwarf Alberich, who uses it to forge a ring that will give him unlimited power. The theft sets in motion a course of events that will eventually alter the order of the universe. Bryn Terfel as Wotan, lord of the gods, heads the cast. Cast: Wendy Bryn Harmer, Stephanie Blythe, Patricia Bardon; Richard Croft, Gerhard Siegel, Bryn Terfel, Eric Owens, Franz-Josef Selig, Hans-Peter König. This extraordinarily powerful work of theater focuses on some of the Ring’s most interesting characters at decisive moments of their lives: Wotan, whose violation of his own laws has jeopardized the gods’ rule; his twin offspring, Siegmund and Sieglinde, who are meant to save the gods; and, above all, his heroic Valkyrie daughter Brünnhilde, who makes a fateful decision that shatters her world. This production marked soprano Deborah Voigt’s first performances as Brünnhilde. Bryn Terfel again is Wotan, Jonas Kaufmann and Eva-Maria Westbroek star as the twins, Siegmund and Sieglinde, and Stephanie Blythe sings Fricka. Cast: Deborah Voigt, Eva-Maria Westbroek, Stephanie Blythe; Jonas Kaufmann, Bryn Terfel, Hans-Peter König. Part three of the Ring follows the journey of Siegfried, son of Siegmund and Sieglinde, from naive fearless boy to supreme hero. With the re-forged sword of his father, he conquers magical obstacles to reach his prize, Brünnhilde. Jay Hunter Morris took over the title role, one of the most demanding in the repertoire, days before the production’s premiere and reprised his acclaimed portrayal in this live transmission the following week. Deborah Voigt is Brünnhilde and Bryn Terfel sings the Wanderer. Cast: Deborah Voigt, Patricia Bardon; Jay Hunter Morris, Gerhard Siegel, Bryn Terfel, Eric Owens. The Ring cycle concludes with a cataclysmic climax of betrayal and loss as focus shifts from the realm of the gods to the power and ambition of human beings. It is left to Brünnhilde, in the legendary Immolation Scene that brings the cycle to a close, to restore balance to the world. Deborah Voigt stars as Brünnhilde and Jay Hunter Morris is Siegfried—the star-crossed lovers doomed by fate. Cast: Deborah Voigt, Wendy Bryn Harmer, Waltraud Meier; Jay Hunter Morris, Iain Paterson, Eric Owens, Hans-Peter König. Bundle packages cannot be purchased online. Patrons must call or visit the Box Office for these purchases. Tickets are available through the Quick Center Box Office: (203) 254-4010, or toll-free 1-877-ARTS-396. (1-877-278-7396). Tickets can also be purchased online at www.quickcenter.com. Connecticut Repertory Theatre’s popular Nutmeg Summer Series will feature two award-winning Broadway musicals, Man of La Mancha and Pirates of Penzance, and Neil Simon’s The Odd Couple starring Pat Sajak and Joe Moore. Tickets are available as a subscription or as single tickets by calling 860-486-2113 and visiting www.crt.uconnn.edu. 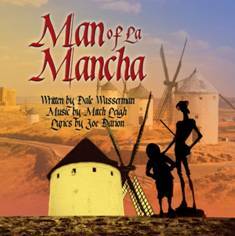 The season will kick-off with the five-time Tony Award-winning musical, Man of La Mancha. Broadway legend and last season’s Henry Higgins Terrence Mann returns to play the unforgettable Don Quixote. Mann originated the roles of Rum Tum Tugger in Cats, Javert in Les Miserables, and the Beast in Disney’s Beauty and the Beast on Broadway. He leads a cast which includes last summer’s audience favorite Richard Ruiz who played Alfred Dooliitle in last summer’s My Fair Lady and Alix Paige who played Eliza. The Odd Couple will star Wheel of Fortune’s Pat Sajak as Felix Unger and veteran news anchor and featured actor in the original "Hawaii Five-0" Joe Moore as Oscar Madison. Sajak and Moore will be joined on stage by Broadway veteran comic actors Patrick Kerr as Vinnie. Kerr is probably best known for his recurring role as Noel Shempsky on TV’s "Frasier" and appearances on "Curb Your Enthusiasm" and "Seinfeld." CRT welcomes back master comedian Steve Hayes (Horton the Elephant in last summer’s production of Seussical the Musical) as the Modern Major General in Gilbert and Sullivan’s Pirates of Penzance. 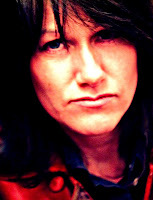 Hayes is the winner of the Backstage Bistro Award for Comedy Performer of the Year, and three-time winner of the MAC Award for Outstanding Comedian. Liz Larsen, as Ruth, will join him onstage. Evening performances start at 7:30 pm on Tuesdays, Wednesdays and Thursdays, and at 8 pm on Fridays and Saturdays. Matinee performances start at 2 on Saturdays and Sundays. Subscription package options range from $30 to $93. Single ticket prices range from $10 to $45. All performances will be in the Harriet S. Jorgensen Theatre on the UConn campus, Storrs. The venue offers air-conditioned comfort and convenient free parking in Lot 9 and paid parking in the North Garage. Subscribers also have the option of pre-purchasing dinner at the Nathan Hale Inn and ice cream dessert at the UConn Dairy Bar with their subscription packages. Call 860-486-2113 or visit www.crt.uconn.edu for specific show dates and times because performance schedules vary and are subject to change. Shakespeare on the Sound, Connecticut’s premier outdoor summer theater company, will present a newly conceived production of Shakespeare’s Romeo and Juliet, under the direction of Joanna Settle, this June and July for the company’s 17th season. Romeo and Juliet will feature Ali Ahn (Juliet), David Cale (Friar), Matt Citron (Mercutio), Will Cohn (Benvolio), William Jackson Harper (Romeo), Rachael Holmes (Lady Capulet/Tybalt), Damian Lemar Hudson (Singer/Paris), Chinasa Ogbuagu (Nurse),and Tony Torn (Capulet). Shakespeare on the Sound presents an annual production in two beautiful waterfront parks in the towns of Greenwich and Rowayton, and admission is always free of charge. This year’s production of Romeo and Juliet is conceived as a dinner party among eight friends who have an annual tradition of reading a Shakespeare play on a gorgeous summer’s night. Over the course of reading the play, the story will take over and guests both on-stage and off will find themselves completely consumed by the momentum and poetry of the events in Shakespeare's great love story. As previously announced, Stew and Heidi Rodewald will again return to Shakespeare on the Sound to create all-new music and songs for this production. Lyrics will be provided by both Shakespeare and Stew. In addition, this year’s production will kick off with a specially commissioned scene for the show’s dinner party which Stew will write and develop in rehearsal with the show’s acting company. 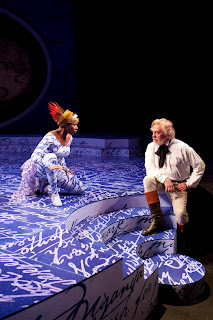 Also, in a first for Shakespeare on the Sound, the production will premiere in Greenwich and then make its move to Rowayton, playing two locations on Long Island Sound: Baldwin Park in Greenwich (June 26 – July 8, 2012) and Pinkney Park in Rowayton (July 18 – July 29, 2012). Set Design is by Laura Jellinek, Costume Design is by Tilly Grimes, Lighting Design is by Keith Parham, Sound System Design is by Jessica Paz, Sound Design is by Obadiah Eaves, and Choreography is by David Neumann. Now in its 17th season, Shakespeare on the Sound has established itself as one of the most popular summer theater companies on the East Coast, drawing large audiences to each performance in the unique under-the-stars settings of its waterfront venues – Pickney Park in Rowayton and Roger Sherman Baldwin Park in Greenwich. For more information on Shakespeare on the Sound, visit www.shakespeareonthesound.org. Yale Repertory Theatre and Yale School of Drama announce the17th annual Dwight/Edgewood Project (D/EP). This annual after-school initiative pairs eight local middle-school students with Yale School of Drama mentors, designers, and directors. The students spend the month of June learning about theatre and writing original plays. The program culminates in performances of the students’ work at New Haven’s Off-Broadway Theater. Eight original plays, written by the young playwrights and designed, produced, and performed by Yale School of Drama students, will be presented over two evenings. Performance dates are Friday, June 22nd and Saturday, June 23rd at 7:00PM. New Haven’s Off-Broadway Theater is located at 41 Broadway. Admission is free and open to the public. Seating is available on a first come, first served basis. D/EP 2012 will include 8 local students from Augusta Lewis Troup School, who were chosen by school staff includingLighthouse Resource Teacher Judith Goodrich, based on their interest in writing and storytelling. This year’s playwrights includeSaschin Choy (6th grade), Nikolaos Constantopoulos (6th grade),Faith Harris (6th grade), RaQuan Jones (6th grade),Daneel Morrison (7th grade), Paris Ransom (6th grade), andSaran Toure (6th grade). An eighth playwright will be announced later. The staff of the Dwight/Edgewood Project 2012 includes Merlin Huffand Melissa Zimmerman (Co-Producing Directors), Jack Tamburri andDustin Willis (Directors), Rachel Gordon Smallwood (Scenic Designer),Nikki Delhomme (Costume Designer), Benjamin Ehrenreich (Lighting Designer),Keri Klick (Sound Designer), Sonja Thorson (Production Stage Manager),Brian Smallwood (Technical Director), and Maree Barbara Tan-Tiongco (Assistant Technical Director). Mentors include Jabari Brisport (Yale Presidential Public Service Fellow), Ceci Fernandez,Sophie von Haselberg, Mary Laws, Dan O’Brien, Emily Reilly,and Jon Wemette. Michael Walkup, YSD ’08 and former D/EP director ’06-’07 and Artistic Coordinator ’08, will join the company for his second season as the program’sPlaymaking Teaching Artist. 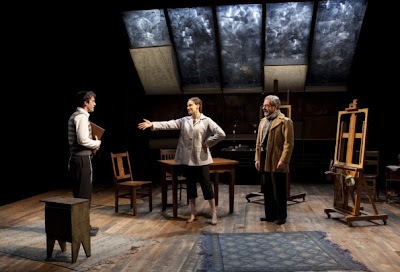 The Dwight/Edgewood Project 2012 is made possible in part by Yale Repertory Theatre/Yale School of Drama, Yale University Office of New Haven and State Affairs, Ms. Esme Usdan, The Lucille Lortel Foundation, and individual donors. Dim the lights and pop the popcorn because Keys To The City’s popular dueling piano players are returning to Waterbury for the Palace Theater’s third annual end-of-the-season celebration, Keys Goes to the Movies, on Saturday, June 2, at 7 pm. Tickets for the movie-themed fundraising event are $50, and can be purchased by phone at 203-346-2000, online at www.palacetheaterct.org, or in person at the Box Office, 100 East Main Street in Waterbury. The evening’s entertainment will once again be provided byKeys to the City’s dueling piano players, whowill tackle the crowd’s musical requests, along with memorable songs from popular soundtracks, including Grease and Saturday Night Fever.Local vocalist Leo Dimo will also perform for guests during the event’s cocktail hour. The night will feature food stations byEmily’sCatering Group, complimentary cocktails (two per person), and a livedrawing announcing the eight winners of thePalace's 2012 Annual Raffle. Last minute tickets will be available on the night of the event so guests will have one last chance to enter to win a Grand Prize tropical vacation for two to Costa Rica. Created by committee members Emma Barone, Cathy Bochicchio,Christine Jones, Liz LaCava, Terry Longo, Lynnette Piombo, Dawn Maiorano, Nicki Maiorano, and Sharon Zilahy, the Palace’s originalKeys to Our Future event was held in 2010 as the culmination to the theater’s fifth anniversary season. As a result of the evening’s fundraising success, it returns to the Palace stage for a third year with proceeds once again benefitting the theater’s Annual Fund. Keys Goes to the Movies is sponsored in part by Emily’s Catering Group, Arts & Tourism Committee - City ofWaterbury, Maiorano Funeral Home,Powerstation Events,Universal Copy andWATR Radio 1320AM. Three famed American writers -- the top-notch adventure writer Clive Cussler; the beloved chronicler of adolescence Judy Blume; and journalist, novelist and memoirist Joan Didion -- will make appearances in June to benefit The Mark Twain House & Museum. The grand master of adventure comes to the home of Mark Twain. 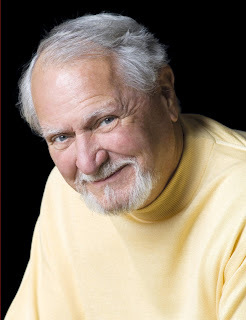 New York Times bestselling author Clive Cussler is the author or coauthor of more than 40 previous books, including 21 Dirk Pitt tales, eight NUMA Files adventures, eight Oregon Files books, the Isaac Bell historical thrillers, and the Fargo adventures. He is also the founder of the real NUMA, which, led by Cussler, searches for shipwrecks of historic significance. Tickets are $45 ($40 for Mark Twain House & Museum members). A VIP ticket, which includes a reception with Clive Cussler at 6 pm, is $85. Call 860-280-3130. 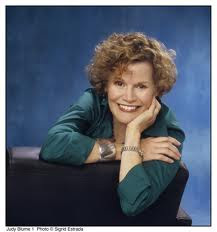 One of the best-loved writers for children, young adults and grown-ups, Judy Blume has more than 80 million books in print including "Tales of a Fourth Grade Nothing," "Superfudge," "Blubber," "Otherwise Known as Sheila the Great," and "Are You There God? It's Me, Margaret." 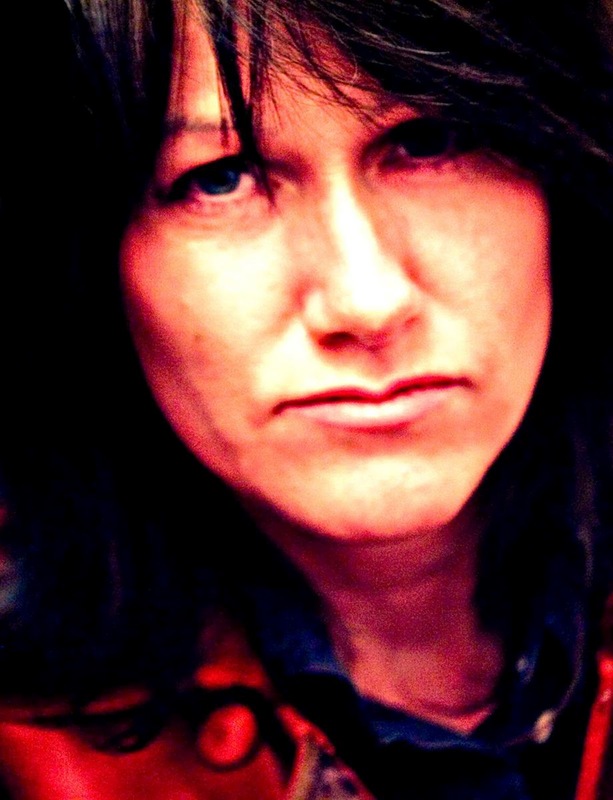 Finding herself at the center of an organized book banning campaign in the 1980s, she began to reach out to writers, teachers and librarians who were under fire. Since then, she has worked with the National Coalition Against Censorship to protect the freedom to read. Tickets: $25 and $40. A VIP ticket, which includes VIP seating and pre-event reception with Judy Blume, is $85. For tickets call 860-768-4228 or go to www.hartford.edu/hartt. Hartford Stage, 50 Church St. 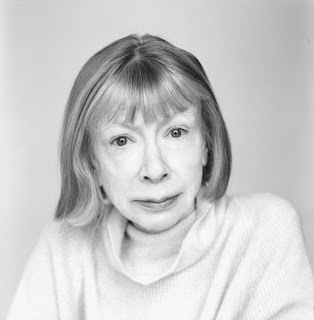 The Friends of The Mark Twain House present An Evening with Joan Didion. Journalist, novelist, screenwriter, essayist and memoirist Didion won the National Book Award for her stark "The Year of Magical Thinking," a look at her grief in the year after the death of her husband, Hartford's own John Gregory Dunne. She followed with "Blue Nights" about her complicated relationship with her daughter, Quintana Roo. Followed by a dessert reception and book signing. Tickets are $40, $30 for Mark Twain House & Museum members and Hartford Stage subscribers. Call 860-527-5151, or go to www.hartfordstage.org. The sparsely furnished Brooklyn apartment (Eugene Lee designs it) is devoid of color, its most distinguishing feature a large window that looks out on the world. It forms a prison of sorts for the son of a devout Jewish family whose religion and traditions make it impossible for him to embrace the burst of color that is the artistic gift within him. Such is the conflict of My Name is Asher Lev, adapted for the stage by Aaron Posner from the novel by Chaim Potok, and closing out the season at Long Wharf Theatre. The artist’s story is told in narrative form by Asher (Ari Brand), who recalls his need to express life through his art as early as the age of 6. Asher's mysterious gift is discouraged by his father, Ari (Mark Nelson), a leader in their 1950s Hassidic Crown Heights community, who travels on important work for the rebbe (the group’s spiritual leader), and by his mother, Riv (Melissa Miller). His father thinks drawing is a waste of time. Isn’t it more important to study the Torah and Talmud? He tells his son to fight his urge to draw. His mother urges Asher to respect his father – and to draw pretty things instead of offensive images like nudes and crucifixions. The boy can’t smother the artistic flame that burns within him, even after it is doused by the death of his uncle and his mother’s subsequent depression. 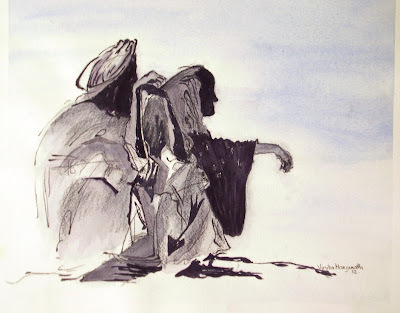 It rekindles and he becomes the pupil of another great Jewish artist who recognizes the genius in Asher’s gift and sets out to his own masterpiece: “a living, breathing David." Nelson and Miller play multiple people in Asher’s life and make seamless transitions between distinctly crafted characters under Gordon Edelstein’s skillful direction (Posner’s script also very clearly maps out what is taking place and who’s who). Original music and sound design by John Gromada underscores the tone and excellent lighting design by Chris Akerlind highlights the conflict and Asher’s isolation. The 90-minute production is moving, heart wrenching and well played. The conflict isn't restricted to one religion, or one calling that must be answered. It is something which touches the lives of every person who has striggled to find his or her true self. Don’t miss it at Long Wharf’s Mainstage where it runs through May 27. Tickets are $40-$70. For a complete performance schedule, visit www.longwharf.org. Tony nominee Louise Pitre (Mamma Mia) brings to life a legendary stage persona in an engaging and well staged production of the Jerry Herman musical Mame to open the Goodspeed Opera House’s 2012-2013 season. Directed by Ray Roderick, Pitre is more elegant, reserved and smaller volumed in singing voice than you might be expecting if the Mame Dennis you have in mind is the one portrayed by Rosalind Russell, Angela Lansbury or Lucille Ball in previous stage and film adaptations, but she brings her own charm to the character. You can’t help liking the fun-loving, free spirited woman who embraces life at full force. The story (book by Jerome Lawrence and Robert E. Lee) begins before the stock market crash of 1929. Mame is New York’s hostess with the mostest, throwing gay parties in her elegant apartment (James Youmans designs the set) with the help of actress friend Vera Charles (Judy Blazer) and faithful servant Ito (James Seol). Anyone who’s anyone attends, including publisher M. Lindsay Woolsey (James Beaman) and Ralph Devine (Alan Gillespie), headmaster of a progressive and controversial new school in the village called The Laboratory of Life. Her life is interrupted by the arrival of her orphan nephew, Patrick (Eli Baker), and his governess, Agnes Gooch (Kirsten Wyatt). Mame and the boy quickly bond as she exposes him to all her world has to offer, while trying to keep his more conservative, traditional trustee, Dwight Babcock (Paul Carlin) appeased. Everything changes when Mame loses everything in the crash and Patrick is sent off to boarding school. The story continues at almost break-neck speed as Mame tries a series of failed careers then ends up oustiing belle Sally Cato (Erin Denman) for the affections of Beauregard Burnside (James Lloyd Reynolds), a Southern gentleman from a wealthy family headed by his formidable mother (Denise Lute). THey marry and travel the world. Meanwhile, Patrick grows away from her (Charles Hagerty plays the older nephew), rooms with Babcock’s son (Beau Landry) at college and embraces a less Bohemian lifestyle with socialite Gloria Upson (Kellyn Uhl). He seems embarrassed by Mame, especially when she welcomes unwed mother-to-be Agnes back into her home -- something that definitely isn't up to the moral standards of Gloria's uppity parents (Mary Jo McConnell and Eric Jon Mahlum) who want the youngsters to move next to them in a restricted community. The tale is propelled by Herman’s score (the lyrics are his too) with classics like “We Need a Little Christmas,” “Open a New Window,” “It’s Today” and the title song performed well by an orchestra directed by Michael O’Flaherty. Vince Pesce’s skillful choreography lends a lot of movement on multiple levels without the 15 or so ensemble members overwhelming the small stage. Lovely costumes by Gregg Barnes mark the changes in years and David H. Lawrence does standout work on the hair and wig design. It’s suprisingly engaging and enjoyable for an old style musical and this is an ideal production to see if you never have experienced the show before. Mame has been extended through July 7. Performances are Wednesdays at 2 and 7:30 pm; Thursdays at 2 and 7:30 pm; Fridays at 8 pm; Saturdays at 3 and 8 pm; and Sundays at 2 pm. Added performances are: Tuesday, July 3 at 2 and 7:30 pm. ; Wednesday, July 4 at 2 pm; Thursday, July 5, at 2 and 7:30 pm; Friday, July 6, at 8 pm; and Saturday, July 7, at 2 and 6:30 pm. For a complete schedule and tickets call 860-873-8668 or visit www.goodspeed.org. Goodspeed Musicals has extended the Musical Mame, which opened officially last night through July 7. Performances are Wednesdays at 2 and 7:30 pm; Thursdays at 2 and 7:30 pm; Fridays at 8 p.m.; Saturdays at 3 and 8 pm; and Sundays at 2 pm. 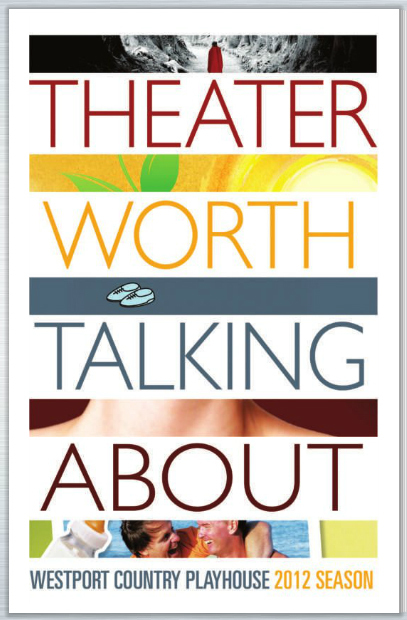 Added performances are: Tuesday, July 3 at 2 and 7:30 p.m.; Wednesday, July 4 at 2 pm; Thursday, July 5, at 2 and 7:30 pm; Friday, July 6, at 8 pm; and Saturday, July 7, at 2 and 6:30 pm. For a complete schedule and tickets call the Box Office at 860-873-8668, open seven days a week or visit us online at www.goodspeed.org. Mark Lamos directs an impressive kickoff at Westport Country Playhouse with a 25th-anniversary production of Stephen Sondhheim's funny and thought-provoking musical Into the Woods. The fairytale characters are familiar. There's Little Red Riding Hood (a terrific Dana Steingold) and the wolf (Nick Walker), Cinderella (Jenny Latimer), her prince (also Walker), stepmother (Alma Cuervo) and stepsisters (Eleini Delopouos and Nikka Graff-Lanzarone), Rapunzel (Britney Coleman) and her prince (Robert Lenzi), the Baker and his wife (Erik Liberman and Danielle Ferland), Jack of beanstalk fame and his mother (Justin Scott Brown and Cheryl stern)) and of course, the witch (Lauren Kennedy). there's even a mysterious man (Jeremy Lawrence) and a narrator (Jeffry Denman) to take us once upon a time. What happens after the "happily ever after" part of this story, with a book by James Lapine, isn't exactly familiar, however. Sondheim's lyrics take us on another path through a woods as the kingdom's residents have to face giants, prejudices, relationships and loss. For the most part, Lamos has assembled a strong cast. Stand outs are Steingold as a really edgy and funny Riding Hood and Brown, whose dreamy tenor seems tailor-made for Sondheim. The princes and stepsisters play off each other well for good comedy. Dressed in festive costumes (Candace Donnelly, design), the cast performs Sean Curran's subtle choreography and movement against a storybook cutout backdrop (Allen Moyer, design) and sings classic tunes like "No One is Alone," "Giants in the Sky," "Agony" and the title song accompanied by a six-person orchestra (Music Direction, Wayne Barker). There's even a fun cow for Jack to trade for the magic beans in this nicely staged production. An adjustment to sound (Zachary Williamson) would improve a sometimes hard-to-understand voice of the giant. In an interesting note, Into the Woods, produced in association with CENTERSTAGE (Baltimore), is being staged at the Playhouse where Sondheim was an apprentice in 1950. It runs through May 26. Information and tickets: 203-227-4177; 1-888-927-7529, Westport Country Playhouse, 25 Powers Court, off Route 1, Westport; www.westportplayhouse.org. Knowing chuckles sputter throughout the audience during the world premiere of Will Eno’s The Realistic Joneses at Yale Rep. The story is about everything – and nothing – just like the dialogue, but sooner or later you recognize a character you know, or perhaps yourself, and suddenly the seemingly pointless conversation hits home like it was fired at a bullseye. 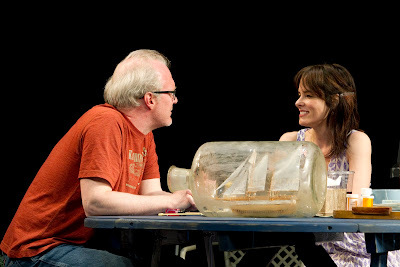 There are the older Joneses, Bob and Jennifer (August: Osage County Pulitzer-Prize winning playwright back on the stage and Johanna Day) and the younger couple with the same surname, John and Pony (Glenn Fitzgerald and Parker Posey) who have just moved in next door in the suburban neighborhood somewhere in the USA. Jennifer struggles to care for Bob as a rare degenerative disease attacks the areas of his brain that control language. It’s a good thing this long-married couple can complete each other’s thoughts and sentences. Or can they? Jennifer apologizes for blurting out her concerns about Bob’s declining health to her new acquaintances. So at first it doesn’t seem like the older couple has much in common with their apparently less intelligent neighbors except a moniker, but after a few chance encounters, it becomes clear that they do – practically as John may have the same illness, but particularly on an emotional level, where the slightest touch can bring comfort and hope. The scenes (designed by David Zinn, who also does the costumes) play out in a backyard setting that doubles for other locations. The fog that hangs heavily over the set is a harbinger of the doubt brought on by the uncertainty of life when one’s thoughts can’t be trusted. One line, delivered by Fitzgerald, for example, gets a laugh, but has deeper meaning which causes the audience, after they reflect on it, to offer a second, more extended chuckle. Posey didn’t miss a beat delivering her lines around the reaction to allow for the maximum amount of savor. The house feels appropriately more intimate for this one, with Yale moving in the back wall of the house in several rows with a temporary barrier. It helps the effect when the lights go out – literally (design by Mark Barton) – symbolic of misfiring synapses. The Realistic Joneses runs through May 12 at Yale Rep, 1120 Chapel St. (at York Street), New Haven. Tickets range from $20 to $80 and are available at the box office, 203-432-1234 and at www.yalerep.org.